Follow this link and go sign up for some huge prizes and it all free. All you have to do is become a member. That’s right boys and girls, it’s finally here! It’s going to be easy to enter and easy to win some incredible prizes – for absolutely free! Please read the instructions and “Not-So-Fine Print” (bottom of post) carefully and we will all have a GREAT giveaway! First and foremost, you must be a member of FRF- Ford Raptor Forum. To register today, click here: Register to FRF now! To officially enter The Giveaway, you must post in THIS thread. Period. That’s it! Click “Post Reply” and tell us that you’re in! 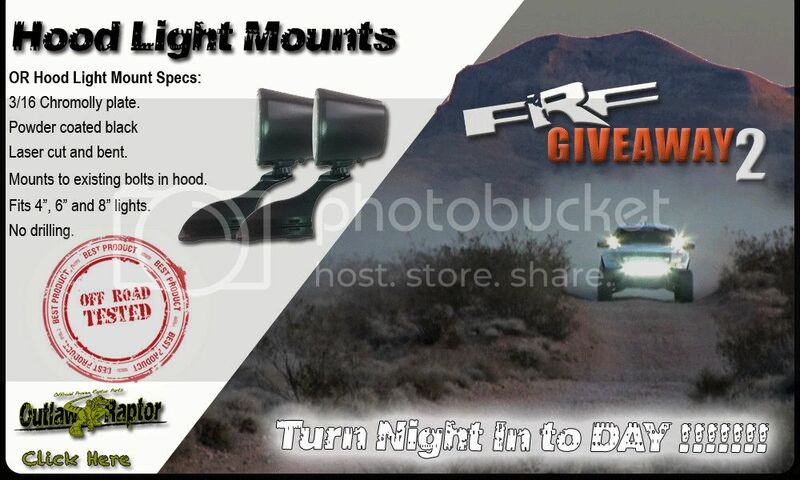 For this, you will receive 1 chance in the FRF Giveaway Drawing! But wait…there’s more! Members with at least 50 posts on the day The Giveaway closes(date specified below), will get another chance at the drawing! That’s 2 chances at winning! More? 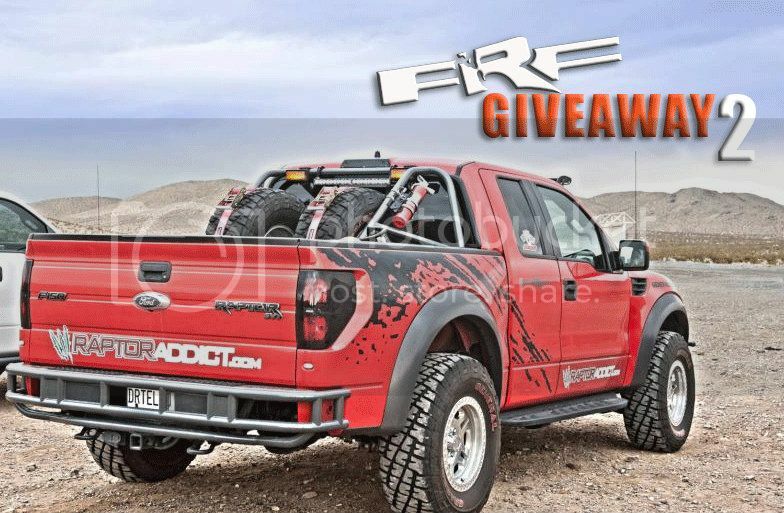 Become a FRF Supporting Member and you will receive 5 chances to win one of the prizes in the FRF Giveaway 2! Sign up for the ADD mailing list, receive the email offer for bonus tickets, respond within 48 hours with your FRF username: 2 tickets. This means the potential for 9 total tickets!! 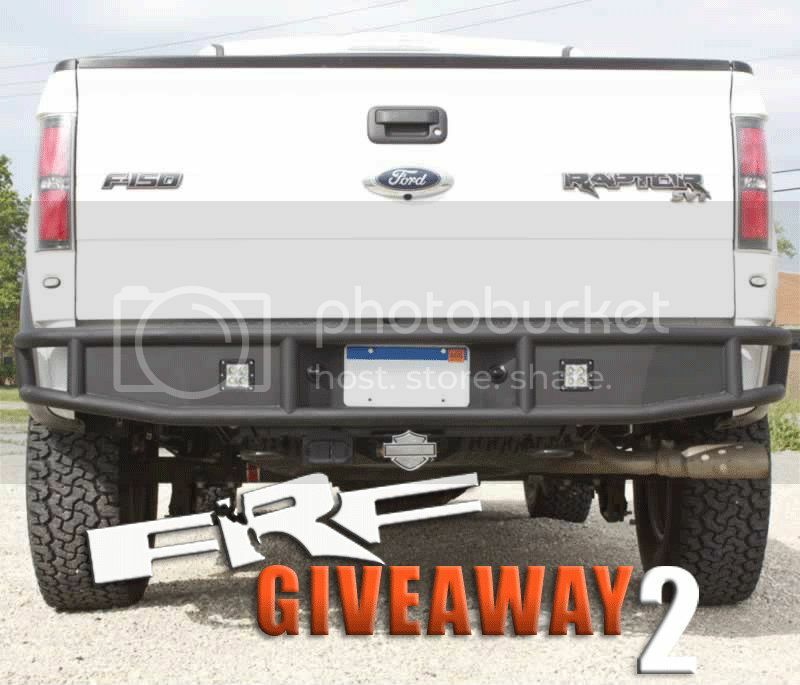 After a 60 day period – on Monday, July 16th, 2012 – the FRF Giveaway 2 will close for entry. Ticket totals will be tallied and each member will be assigned a range of their winning numbers based on alphabetical order of their username 0-9, A-Z. We will post the ticket numbers the night of Monday, July 16th. On Tuesday, July 17th 2012, we will hold a drawing using RANDOM.ORG – True Random Number Service. A number range including everyone’s “ticket numbers” will be entered in to the system. We will draw each number, starting with the First Place Prize. Each number following the first will win the next prize until the 15th number is drawn and the final place prize is awarded. Either screen shots, video or both will be used to validate the drawing. The forum staff will notify the winner of each prize via PM(private message) and/or email. The winners will have 14 days to acknowledge and claim their prizes by responding to site staff. 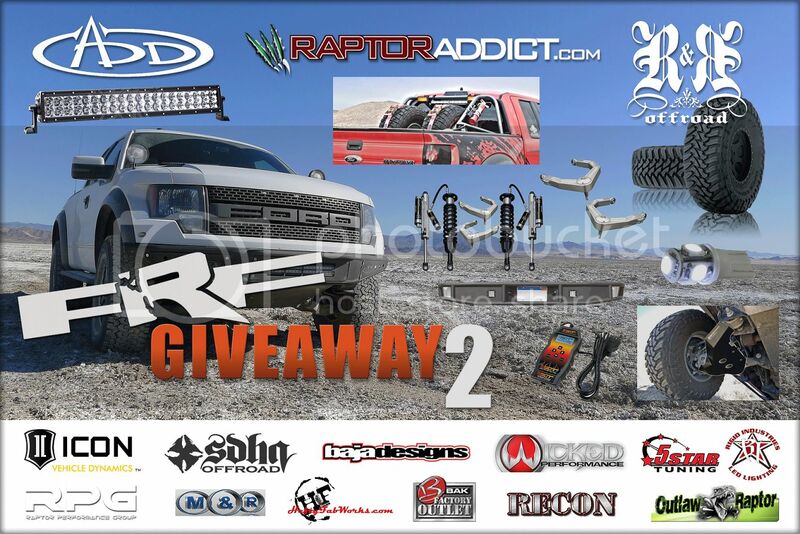 Every prize listed in The FRF Giveaway 2 will be shipped directly to the winner for FREE(USA members only). *Members outside of the USA will have the option to claim their prize and pay any additional shipping or customs costs beyond normal domestic shipping costs. The Not-So-Fine Print – Please Read! 1. One post in this thread earns you one(1) ticket. 2. To earn a second ticket, you must have 50 posts by Midnight (12:00am) on Monday, July 16th, 2012. *** We ask that members contribute to the forum WISELY! Having 50 posts DOES NOT mean “trolling” or “bumping” in threads to gain a higher post count. *** If we find a member is making posts such as “I agree” or “That’s cool” just to raise his/her post count, that member will not earn the second ticket in the FRF Giveaway 2 Drawing! We will monitor the quality of posts over the course of The Giveaway and will only give 1 warning before revoking the second chance at winning! Don’t make us do it! 3. To earn the five (5) additional tickets in the drawing you MUST BE AN ACTIVE SUPPORTING MEMBER ON THE DAY THE GIVEAWAY CLOSES – Monday July 16th 2012. Regardless of being a Supporting Member, you still have to post in this thread! 4. To earn the two (2) “Bonus Tickets” you must respond to the ADD generated email within 48 hours! Twenty (20) emails will sent, only those who respond in time(48 hours) and have entered in The Giveaway will be awarded the 2 Bonus Tickets! 5. One (1) prize per member! As stated above, the First number drawn will win the 1st Place Grand Prize. The 15th number drawn will win the 15th place prize! 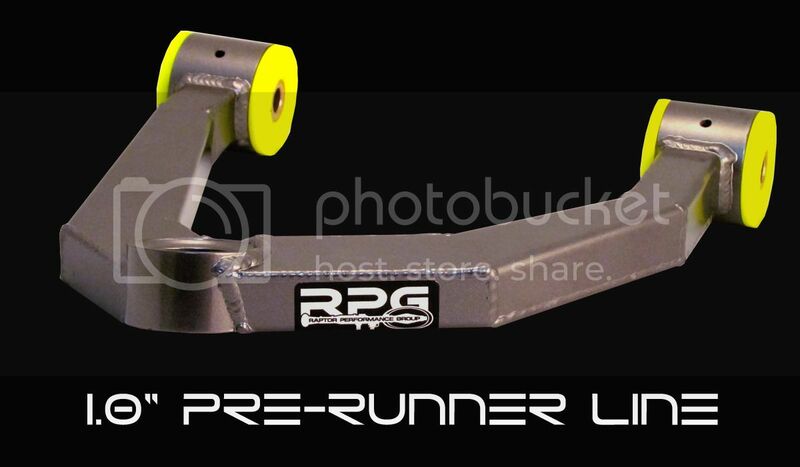 In the event that during the drawing a previous winner’s number is drawn, we will re-submit to the Random.org system until we pull a first time winner! 6. All items in The Giveaway will be awarded and shipped for free to the USA Only. The Giveaway is open to non-US residents, but the winner will be responsible for any additional shipping and/or customs charges! 7. Be on your best behavior! If you are banned or given an infraction at any point during the giveaway you will be disqualified! We want this Giveaway to lift the spirits of the forum and attract new members, let’s show everyone how the FRF Family operates!